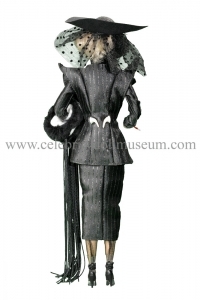 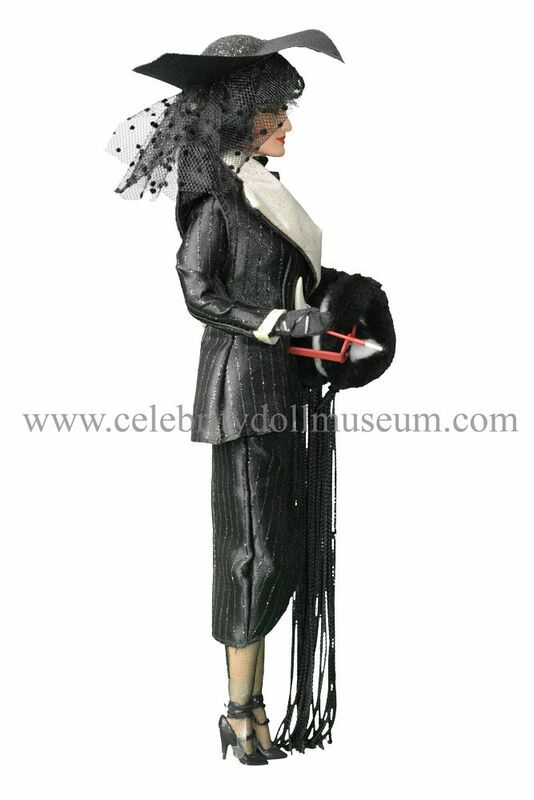 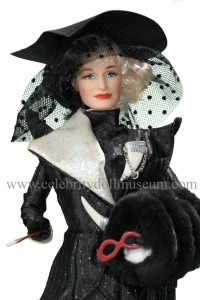 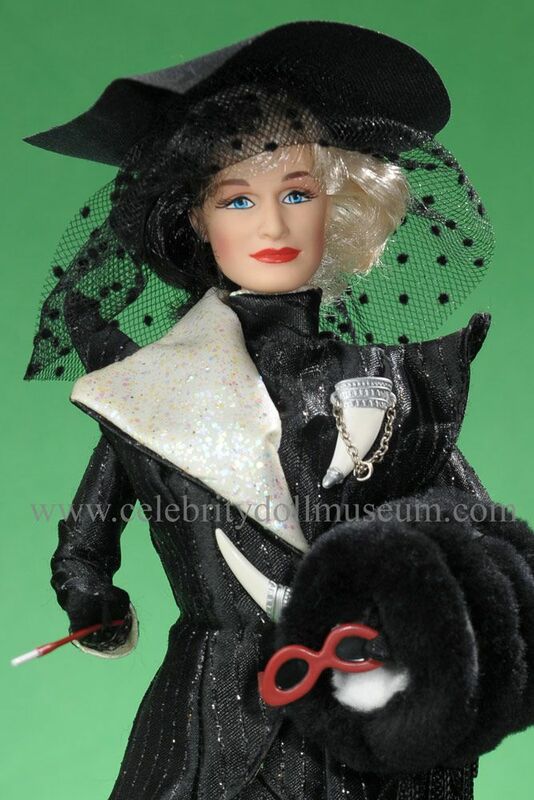 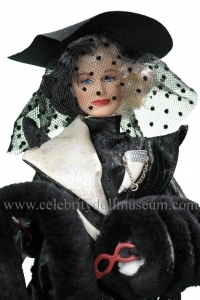 Glenn Close’s vinyl celebrity doll was manufactured by Mattel as a Barbie Collectors Edition for the Great Villains Collections in 1996. 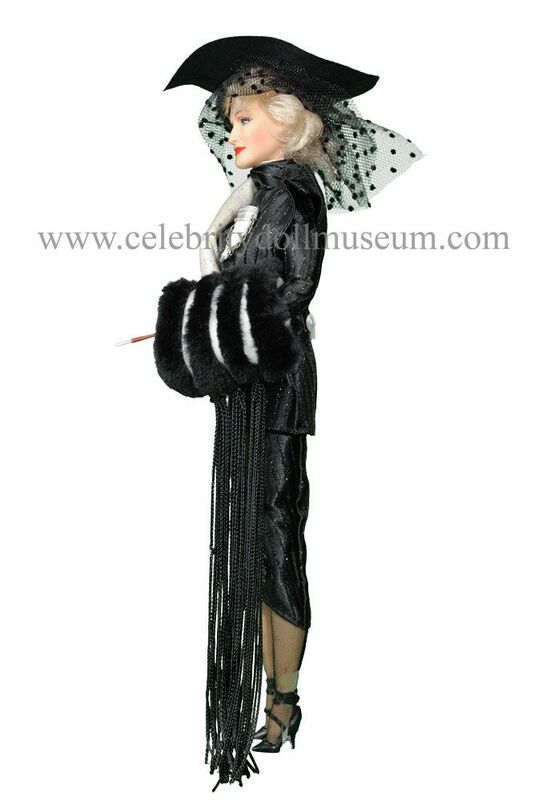 Glenn Close is depicted as Cruella De Vil from the 1996 Disney movie remake of 100 Dalmatians. 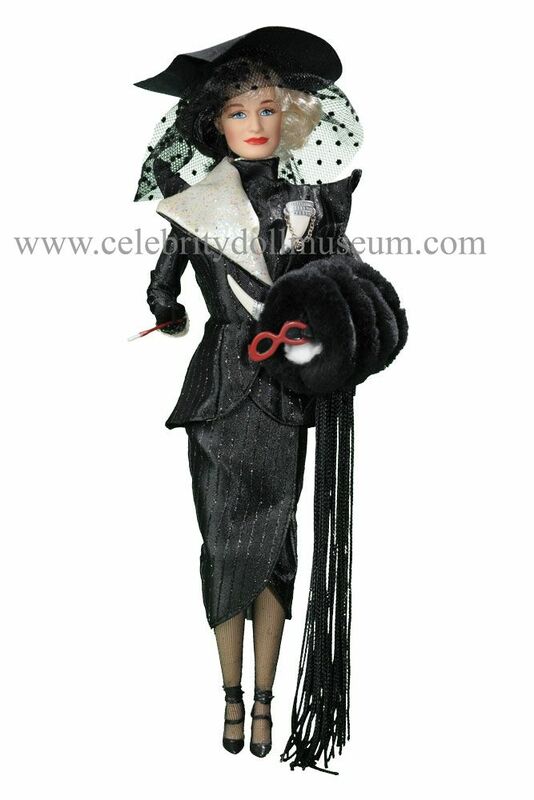 Another version of the doll was made with a red dress called “Ruthless in Red”.